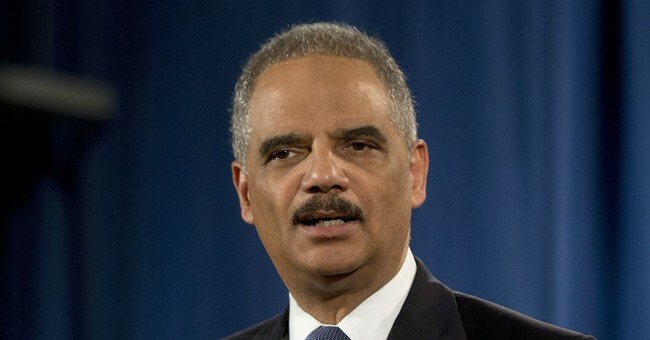 Did Democratic AG Candidate Break Ohio Law With Eric Holder Fundraiser? Steve Dettelbach, a Democratic candidate for Ohio attorney general, is in hot water for a fundraiser he's hosting with former Attorney General Eric Holder. Dettelbach raffled off a meet-and-greet with Holder earlier this week. The tickets are $250 to $2,500, but the Dettelbach campaign is raffling off tickets in exchange for donations as low as $5. Hamilton County Prosecutor Joe Deters was quick to warn Dettelbach that he is probably violating state law. "I would urge him not to have a raffle because it is probably illegal," Deters told the Cincinnati Enquirer. "If I was the lawyer for their campaign, I would tell them it has the smell of a raffle," he added. "The guy is running for attorney general. It’s just stupid." The Ohio attorney general’s website states that Ohio law largely prohibits political campaigns from gambling. It is considered a misdemeanor offense. Dettelbach’s team is staunchly rejecting the idea that they’re violating the law. "This is a by-invitation political fundraiser, and we wanted to give supporters the opportunity who might not otherwise have it to meet the 82nd attorney general of the United States," Dettelbach spokeswoman Liz Doherty said. "Anyone who questions this is making a ridiculous political attack."